Sam performs at around 25 weddings a year in locations all over South Wales and England. After spending nearly a decade as a free-lance musician she is well versed in music for just such occasions with an expansive repertoire! Rates can vary from £250-£500 depending on part of day, time of year, day of week and travel expenses so please email for an accurate quote. A wedding day is typically divided into three parts, Ceremony, Drinks Reception and Wedding Breakfast. You can book individual parts or do a package of different parts. For a typical ceremony Sam will play 15-20 minutes of music for the arrival of guests, the walk down the aisle, signing of the register and the walk out. This is all included in the quote given, this also includes up to 3 musical requests with videos from her studio. Examples of these requests from previous clients can be found here! 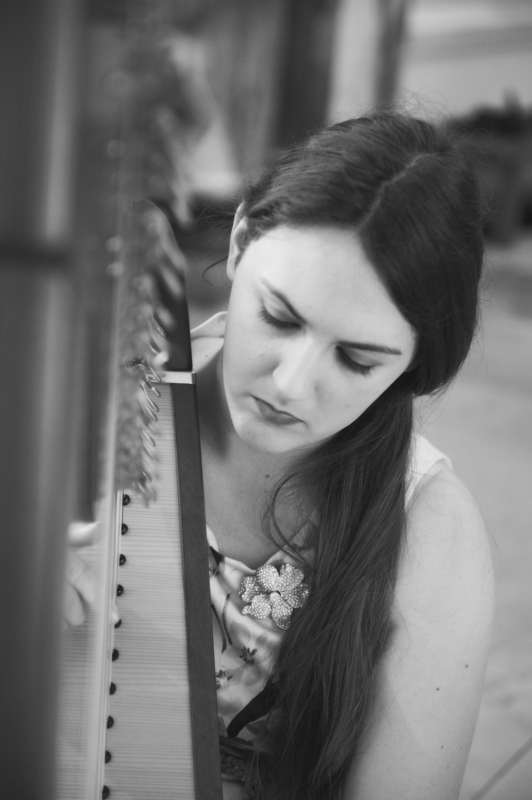 A Drinks Reception last around 1.5hrs and you can sit back and let Sam play her fabulous repertoire curated from years of playing weddings, events and functions. You can request up to 4 pieces, or a musical genre you’d like to hear (or even not hear) and Sam will work her repertoire around this. This last up to 2hrs and is similar to a Drinks Reception, however it is a longer play. In a typical wedding Sam will finish when speeches begin and the DJ will take over from them. 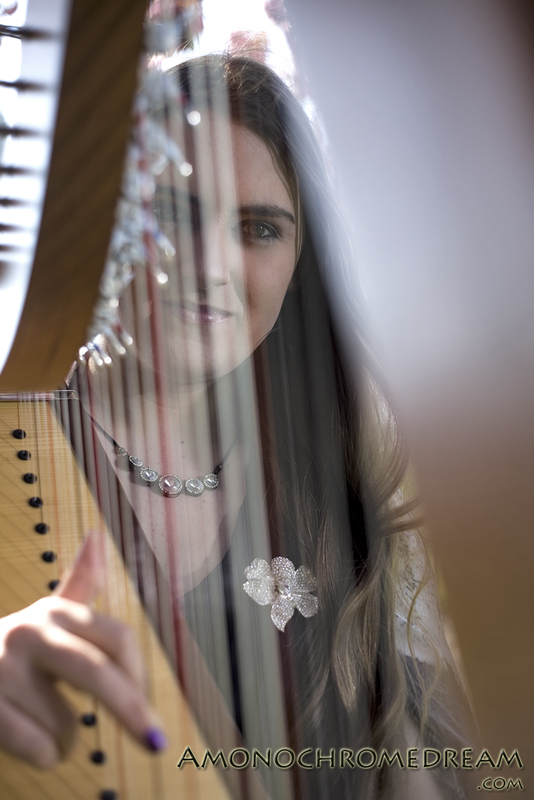 There are some wonderful pieces to walk down the aisle to many you wouldn’t associate with a harp so feel free to pick something wild, out there and personal to you! HAVE FUN WITH IT! A Very unusual request for a walk down the aisle but worked beautifully on the day! Feel free to request any music you’d like! Please tell us what part of the day you are looking for. How did you hear about Sam? Here is a small list of Sam's current repertoire. If you would like a specific piece learnt for your special event then Sam is happy to learn something and will even send you a recording of the final arrangement for your approval. At home in her studio. In The Wee Small Hours Of the Morning. "I'd like to convey our heartfelt thanks and gratitude for playing our personally requested ceremony song so beautifully on our wedding day. It really made the occasion that extra bit special and you were extremely professional and friendly in every aspect of your service. You made the made the whole experience thoroughly enjoyable and I would not hesitate to recommend you for any event, you were fantastic! All the best for the future and hopefully see you around Cardiff very soon!! x" Lee & Suzy, 18th September 2016, Cardiff City Hall. Sam played at our golden wedding celebrations all our guest and ourselves really enjoyed the music and range of tunes, thank you Sam for making our day special. We booked Sam for our daughter's wedding at St. David's Hotel, Cardiff. She provided wonderful entertainment. Very professional indeed. She even did extra time for us and billed us after the ceremony. We received many lovely comments regarding her repetoire. Sam learnt two songs especially for the service which was lovely. Her singing is gentle and blends into the background lovely whilst everyone is eating. Cannot thanks her enough and promised to recommend her whenever we can. Can't praise her enough. Thanks again Sam. 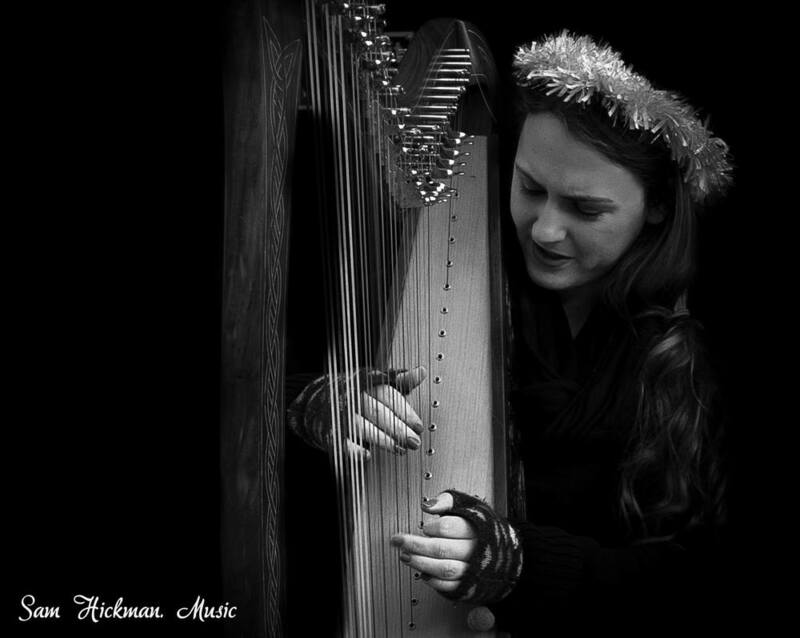 Sam Hickman, Singing Harpist, Cardiff. Performs regularly at Weddings and Concerts around Cardiff and south wales. As well as this, She uploads Youtube videos every friday! 9am GMT! Sam Hickman recently performed at a charity concert that I had organised, she was a great hit with the audience. Her playing of the harp was beautiful, and it was an extra treat to hear her sing along with her playing. Her choice of music was good,and very much enjoyed by all. She performed in a professional manner, I thoroughly recommend her. Every Event Needs A Harpist!